The reasons for the sometimes somewhat damaged reputation are manifold. Therefore, I cannot and would not like to give a complete treatise on the subject in the following. 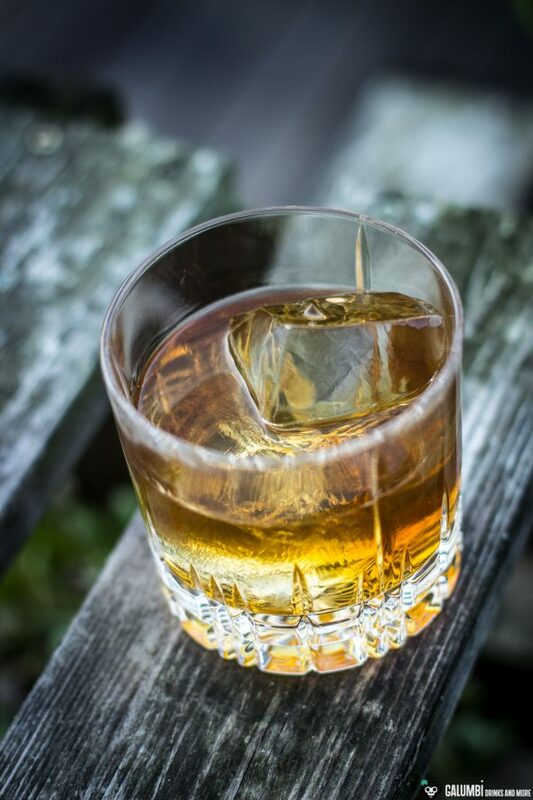 However, in contrast to the Scottish whiskey industry, the Irish whiskey industry shrank considerably more in the course of the 19th and 20th centuries – not to say it almost collapsed. Above all, the American prohibition (and thus the breaking away of the major demanders for Irish whiskey) alongside the rise of the cheaper Scottish blended whiskys, which were produced from the middle of the 19th century on distillation columns, put the more expensive pot still blend of the Irish under pressure. Numerous Irish distilleries died and also those who switched to cheaper distillation columns had often lost their former position in the aftermath of the prohibition years and were no longer competitive. 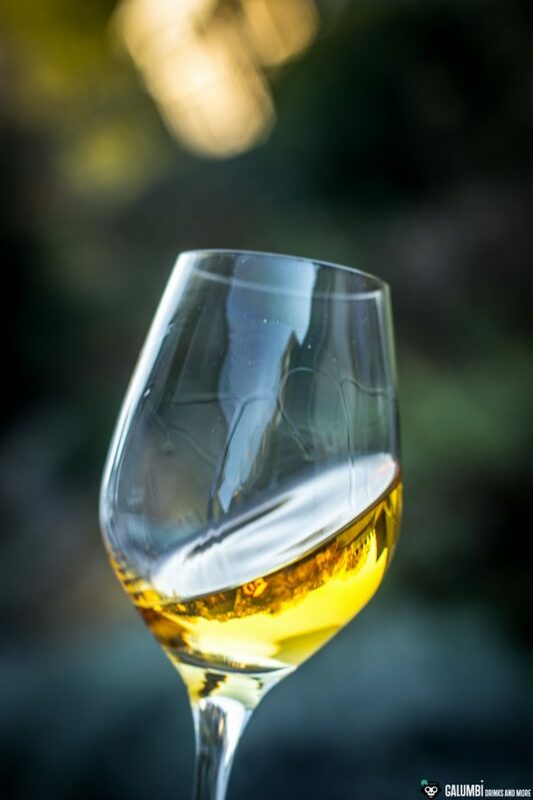 Unfortunately, the companies were also not prepared for the rising demand for single malt whisk(e)y, which benefited Scottish distilleries in particular. In the meantime, a lot is changing in Ireland and people are trying to regain a piece of the cake. 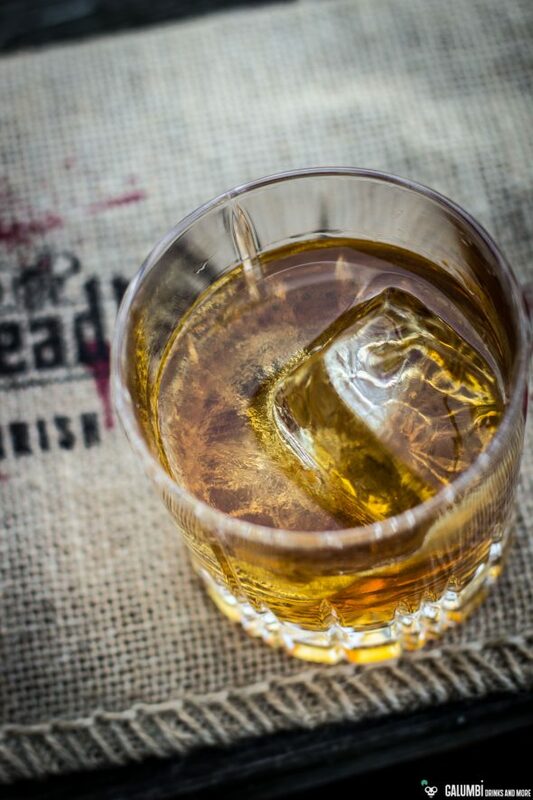 The fact that Whisk(e)y doesn’t just mean “Single Malt” and that Blended Whisk(e)ys are now also once again on the rise plays into the hands of the Irish. And there is also the traditionally close connection of the Irish (and thus also the Irish whiskey) with the United States of America – especially the city of New York. 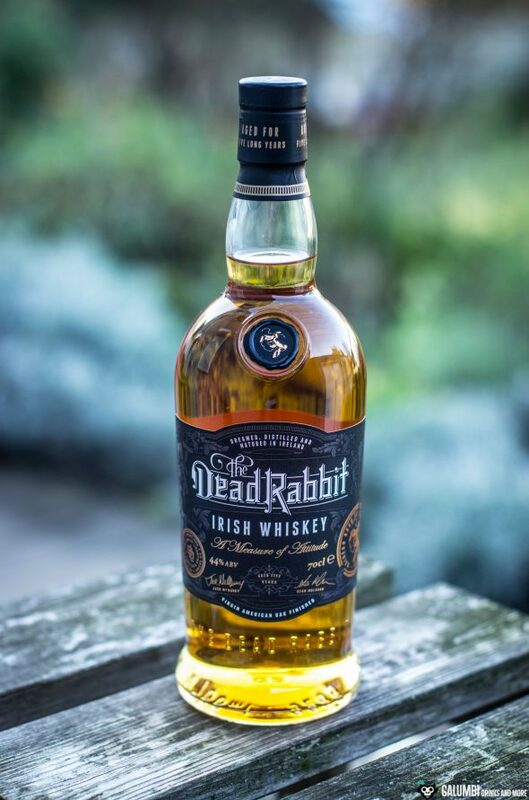 And that’s exactly the background against which the story of the creation of today’s bottle must be seen: The Dead Rabbit Irish Whiskey is the result of a cooperation between Darryl McNally, the Master Distiller of the Irish The Dublin Liberties Distillery, and the two founders of the Dead Rabbit in New York City, Sean Muldoon & Jack McGarry. (Quite some time ago, I also wrote my own article about my visit to the bar that has meanwhile been voted the “best bar in the world”). 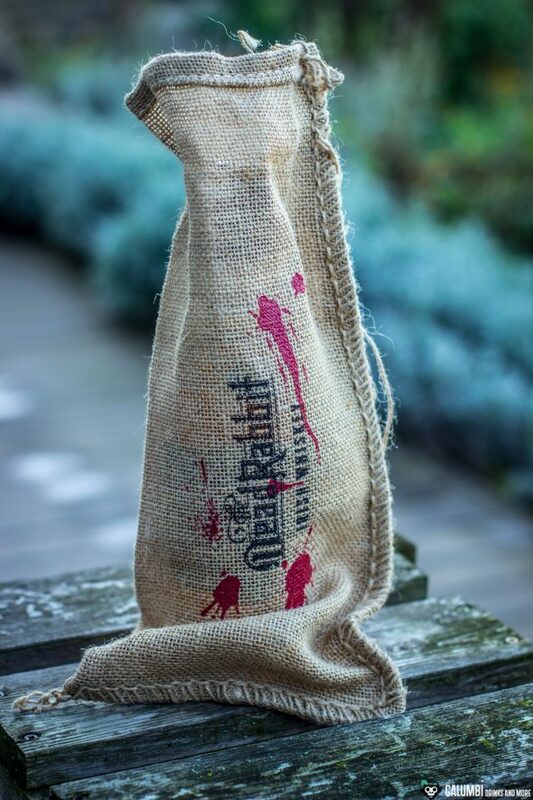 The Dead Rabbit Irish Whiskey comes with a nice branded burlap bag. 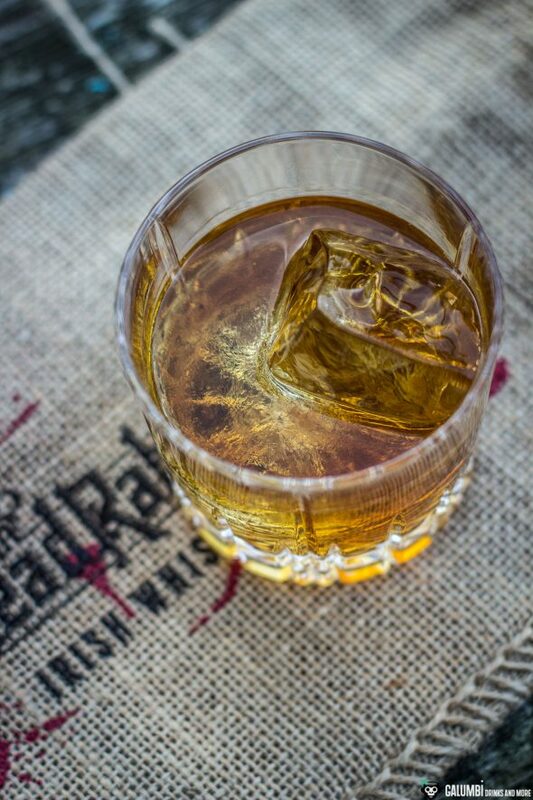 This whiskey is a blend of five-year-old single malts and grain whiskeys. The special feature here is the double barrel maturation: on the one hand, it is left to mature for five years in former bourbon barrels and finally receives a finish in fresh American white oak barrels, as they are required by law for the production of bourbon. In this respect, this is a truly Irish-American product. 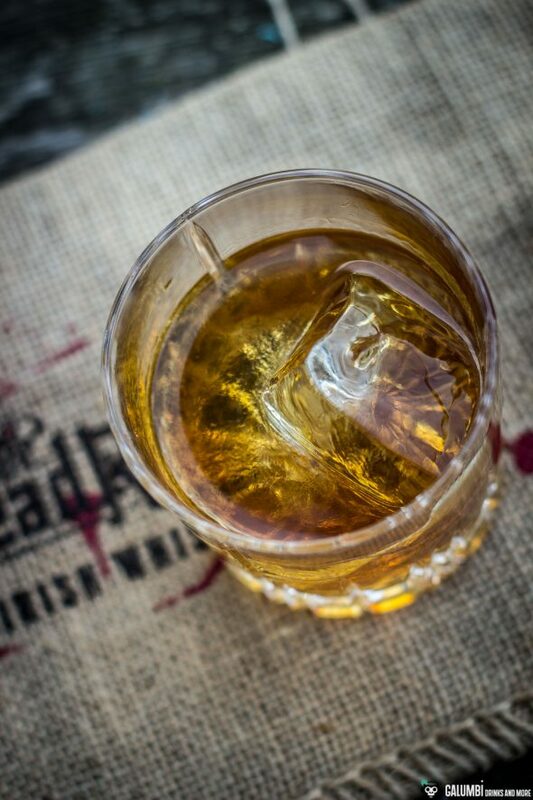 The whiskey is of course primarily designed for using it in a bar. 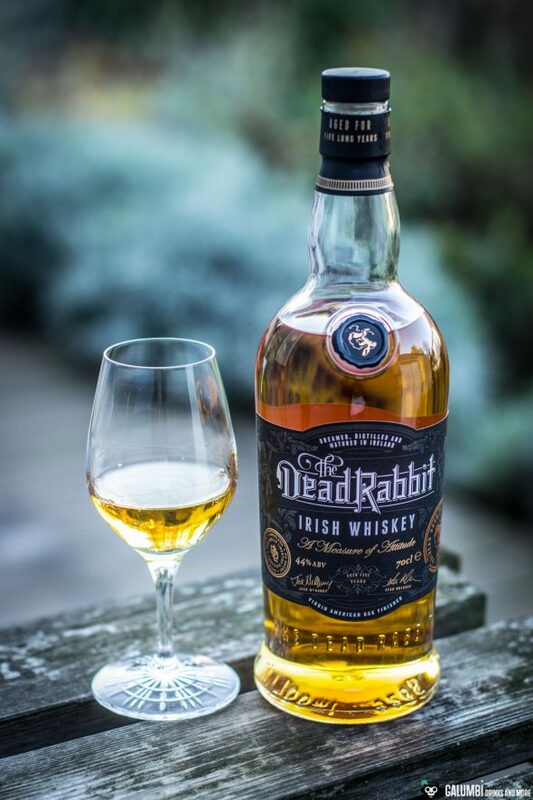 According to their own statements, it also aims for the sipping segment and is recommended to have it neat as well (even “on the rocks”, which is typically American), but of course a Dead Rabbit Irish Whiskey must also be suitable as a cocktail ingredient – especially of course in an Irish Coffee, which is hardly served as perfectly in any other place as in the Dead Rabbit in New York City. It is bottled with an ABV of 44%. Aroma: In fact, you are able to immediately scent some kind of Irish-American hybrid on the nose. Spicy, herbaceous notes accompany vanilla and caramel, reminiscent of bourbon. I can find heather in particular here, as well as a fine oak flavor with spices, some honey and subtle cloves. Taste: A fine vanilla and caramel note also dominates on the palate, but despite the young age there is also a noticeable barrel influence. Especially the influence of the fresh white oak barrel is unmistakable. Spicy, again some cloves, honey and alcohol that is quite well integrated for this age. Although I still find very fine, metallic nuances of youth, these do not really have a negative weight. Overall, it is a solid whiskey, which also fits its history. Finish: medium-long, spicy, with some honey. 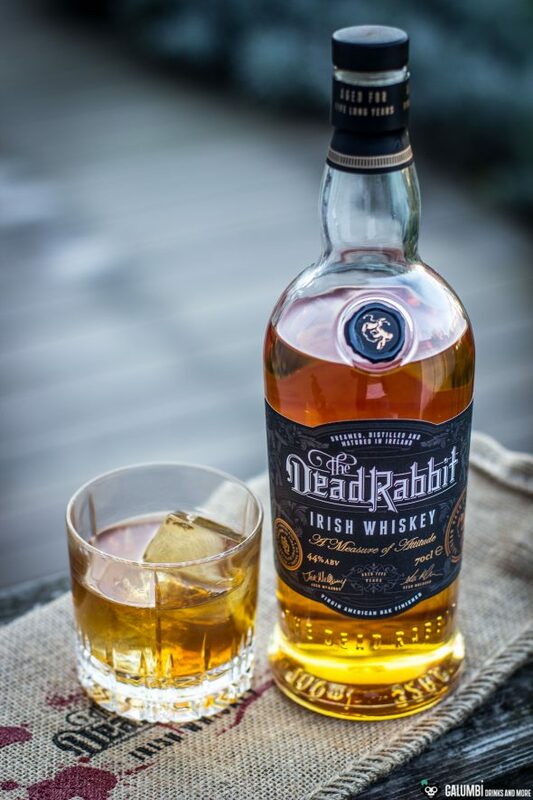 Today I decided to create a relatively simple drink which, as an old-fashioned variant, does not overpower the characteristics of The Dead Rabbit Irish Whiskey too much. 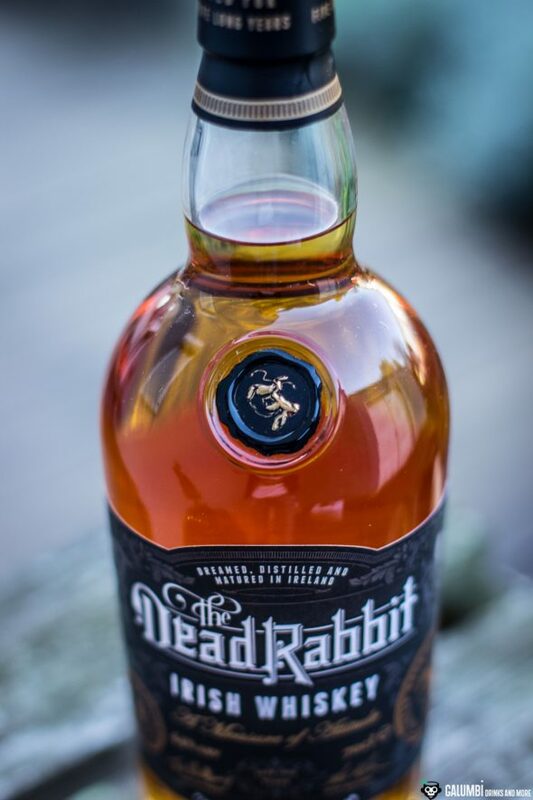 I made a stout syrup from O’Hara’s Irish Stout and combined it with The Dead Rabbit Irish Whiskey. I also used the Mezcal-based #2 Café de Olla Bitters from the recently introduced Dr. Sours series. The spicy-exotic note and the light smoke of the Mezcal base raise the drink to a completely unusual, but extremely delicious level. An American-Irish-Mexican triangle! Therefore, I named this Old Fashioned after a ballad by the Irish writer Dominic Behan, which I know mainly from the corresponding song by the legendary Dubliners: The Auld Triangle. Even though the ballad is actually about a triangle in a prison yard, the name fits very nicely. Moreover, I am really very satisfied with this cocktail and will certainly not have prepared it for the last time. Stout syrup: Simply bring Irish Stout with sugar to the boil in a frying pan in a ratio of 1:1 and allow thickening slightly until a syrupy consistency is obtained. 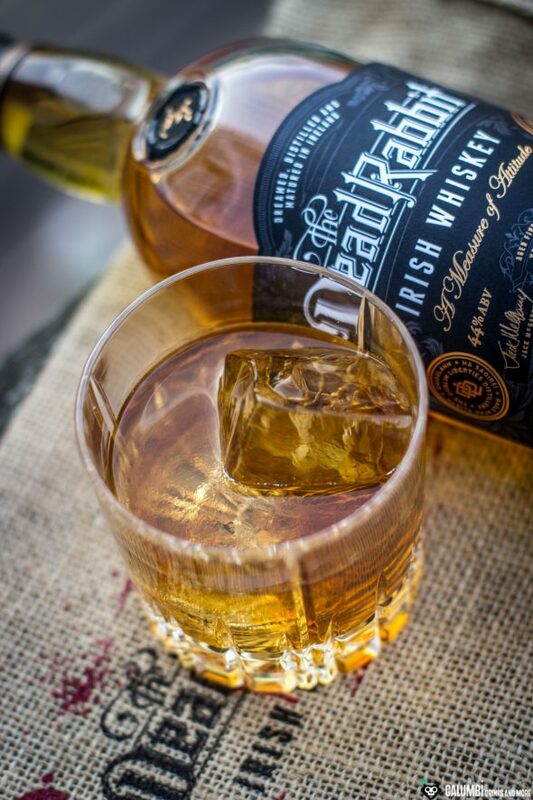 Preparation: The drink is built in the glass: simply put all the ingredients on large ice nuggets in the glass, stir and you’re ready to go.